I’m a frequent dry shampoo user mainly because it is convenient. I’ve been trialling many dry shampoo products and here is a review on the Aussie Miracle dry shampoo. Both didn’t leave a white cast once rubbed in and brushed through. Aussome Volume left my hair feeling and looking clean and absorbed all the oils leaving me with lovely volume. Adding that extra tease to the roots had helped the volume last longer. The formula is light and didn’t weigh the hair down nor feel like I’ve got anything in my hair. Whereas the Mega Instant was the total opposite. Absorbed some grease, felt heavy on my hair, could still feel the product and my hair didn’t look clean. The smell is a love hate one. I didn’t mind it and it did linger all day. The nozzle gets clogged easily but that is easily fixed by running it under water. It’s a common occurrence though. At £4.71 for 180ml each, it is more on the slightly pricier end as compared to the other dry shampoos out there in the drugstore. I tend to get them when they’re on offer. Sometimes, there’s a 3 for £10 offer so I end up stocking up. Yes to the Aussome Volume but an unfortunate no to the Mega Instant. I’ve already repurchased Aussome Volume. There are other collections to this dry shampoo. I don't really use dry shampoo but I love Aussie hair products. I don't tend to use dry shampoo, but saying that my daughter does. She likes to use Tigi Bead Head version, which always smells fabulous. I've used Aussie products before and tend to like them, just not my usual brand. Ohh I had no idea Aussie had come out with a dry shampoo – I am totally going to have to try this though as I do tend to use one from time to time. I find that there are two types of dry shampoos, the ones that are powdery like Batiste, and the ones that are as transparent as hair spray, like the ones I get in Monoprix in France. I've been desperately looking for this type of dry shampoo but haven't found anything like that in the UK yet. Which category would you say that one is? Batiste is my go to! I do love a good dry shampoo, and this sounds right up my street. I also use a texturing spray for days I really want to add some more oomph to my hair. I have used Aussie hair dry shampoo before and it is not bad. Better than Batiste but not the best. However I love their shampoos and conditioners! I love love love dry shampoo! I havent tried this one before although I do like Aussie products! 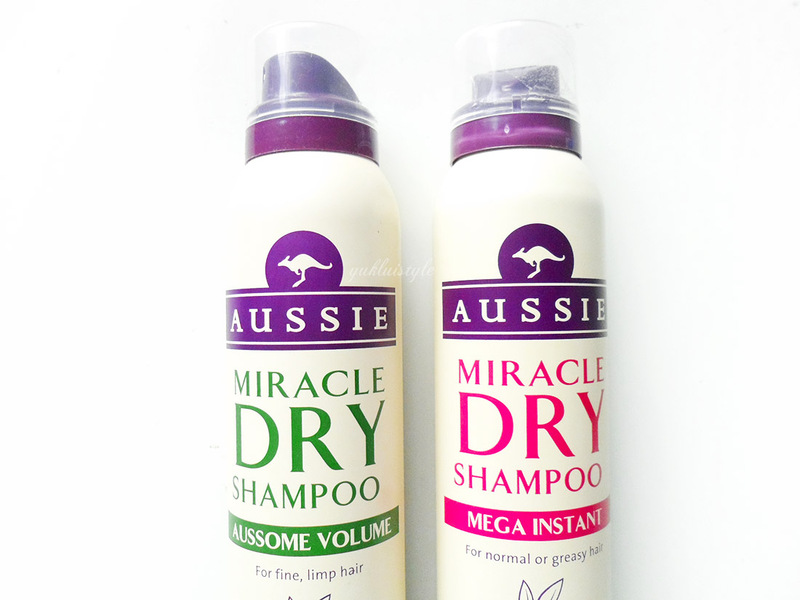 I never knew Aussie Miracle had a dry shampoo range. Looks great! Having short hair, I have never had to use dry shampoo but I am told it is one of those items you cannot live without! I love the scent of Aussie products, but have yet to find a dry shampoo that works for me.